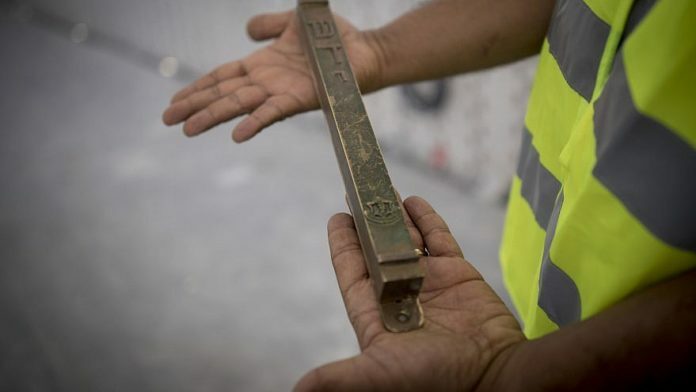 A man holds a “mezuzah” at the site of the new National Memorial Hall at the entrance to the military cemetery on Mount Herzl in Jerusalem on April 27, 2017. Photo by Yonatan Sindel/Flash90. 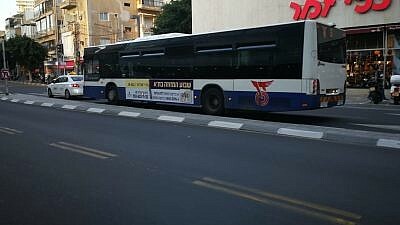 A bus in Tel Aviv with a Chabad “Mezuzah Week” campaign ad.